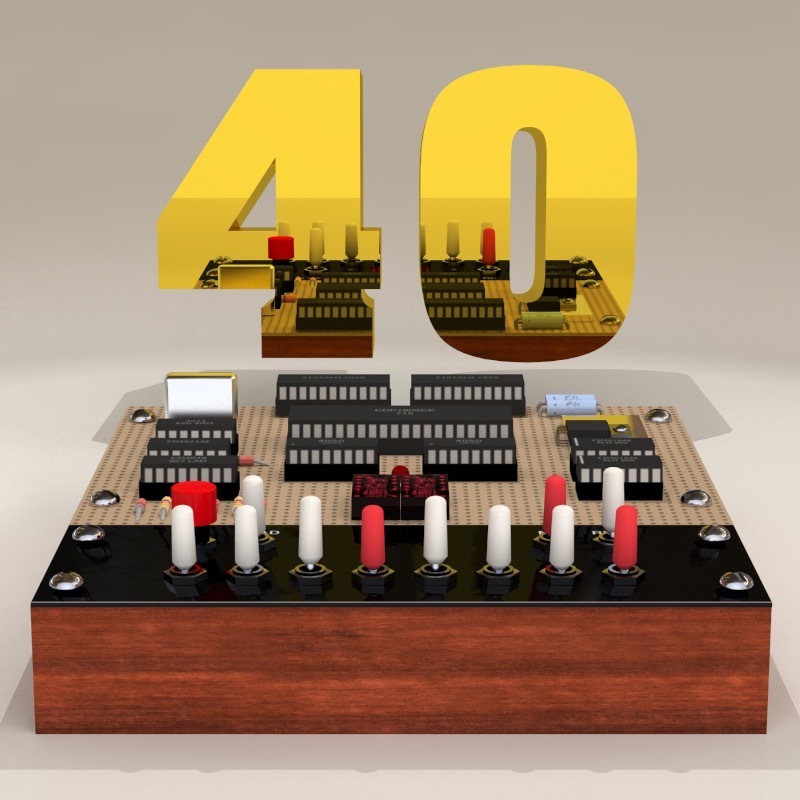 In August of 1976 the cover of Popular Electronics featured a peculiar little device built on a piece of perfboard with a 2-digit hexadecimal display, an LED, 11 toggle switches and a pushbutton. The text read “THE COSMAC ‘ELF’ --- A MICROCOMPUTER TRAINER THAT’S POWERFUL, EXPANDABLE AND COSTS AS LITTLE AS $80.” The large chip in the center of the perfboard was RCA’s CDP1802 COSMAC microprocessor. The chip’s inventor and by far its greatest evangelist was Joseph Weisbecker, who wrote the article to introduce the hobbyist community to this simple CMOS microprocessor. The machine featured in the article was minimal: 256 bytes of RAM (less characters than two tweets on Twitter!) and no ROM. Yet the machine could be programmed, opcode by opcode, to play simple games, play music (if one wired up a speaker), or expanded to control external devices. For many, this hand-wired, low-cost machine was their first computer, and an entry into the world of microcomputing. There seems little doubt it helped launch more than a few engineering careers. In Weisbecker’s view, everyone could eventually own and perhaps even understand and program their own personal computer, for productivity and entertainment. While he’d write future articles that expanded the ELF with such things as video and a photocell “light pen,” the beginning was about as simple as a computer could be. 40 years later, this is still a great little machine to build, play with, and learn on. Drop by the Vintage Computer Festival Midwest on September 10-11 to celebrate the anniversary with us! Browse our Gallery to find builds of the original COSMAC ELF as well as the many creative home-built machines inspired by it.